Trump is determined to vilify Ilhan Omar and Muslim Americans in general. Democrats have failed to unequivocally defend them. Last week, Donald Trump amplified a racist smear against a sitting Democratic lawmaker, potentially endangering her life. With a few exceptions — including Bernie Sanders and Elizabeth Warren, who were both quick to release strongly worded statements, as did several House members — the initial responses offered by some Democrats, including several of those currently seeking the party’s 2020 presidential nomination, ranged from gutless to downright appalling. Following quickly on the heels of the Post’s bigoted cover, Donald Trump tweeted an edited video superimposing Omar over 9/11 imagery with the caption “WE WILL NEVER FORGET!” A veritable army of other right-wing figures quickly followed suit. 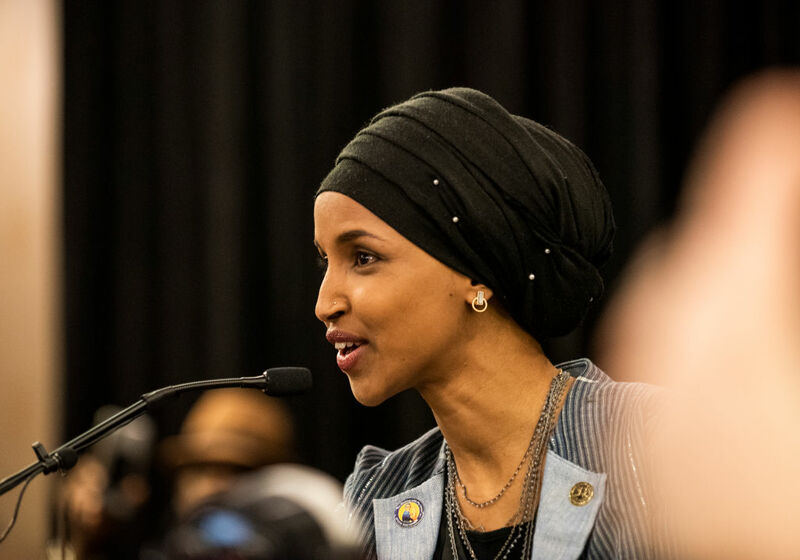 These more or less explicit attempts to link Omar, a Muslim woman — and by extension Muslims in general — to terrorism should have provoked both swift condemnation and unequivocal expressions of solidarity with the congresswoman from leading figures in the opposition. Failing to even mention Omar let alone come to her defense, House majority leader Nancy Pelosi’s initial statement instead accused Trump of misappropriating the memory of 9/11. Following a backlash, Pelosi eventually released a second statement that actually referred to the congresswoman by name. And while said backlash may have played a role in inspiring other leading Democrats to speak, many of their initial responses proved little better. While there’s plenty of competition these days, it’s difficult to imagine a starker illustration of Democratic fecklessness than the combination of foot-dragging, equivocation, and vaguery that initially followed the Right’s latest onslaught against Omar. Faced with an example of the Trump presidency at its ugliest — in the form of a racist incitement campaign aimed at one of their own colleagues, no less — it took days for some to even utter a word, and a few still tried to have it both ways: condemning Trump’s rhetoric in the abstract while maintaining a safe distance from Omar herself. It hardly needs saying, but meekness and vacillation of this kind will only further embolden the Right. If Trump is determined to use a congresswoman and her words to attack Muslim Americans, the only adequate response is to defend both without hesitation. Luke Savage is a staff writer at Jacobin .